The Sidney M. Edelstein Center atÂ The Hebrew University of JerusalemÂ serves to enhance advanced research in the history and philosophy of science, technology and medicine. In particular, the Center fosters research based on the resources of theÂ Einstein Archives, the Yahuda Theological Collection of Isaac Newton, theÂ Edelstein LibraryÂ that includes many rare books in the history of science, technology and medicine, including the Edelstein Collections on the history of dyeing and chemical technology. The Center offers post-doctoral fellowships, and short-term graduate support, and engages in an active program of seminars and workshops. The Center constitutes a nexus between the faculties of Humanities, Social Sciences, Science, and Medicine. Particularly strong is the interaction through faculty and students with theÂ Program in the History, Philosophy, and Sociology of Science, and the departments of philosophy and history, as well as of physics, at The Hebrew University. Each year the Edelstein Center organizes an annual international workshop (in collaboration with Tel Aviv University and the Jerusalem Van Leer Institute), each one with a different theme. The Edelstein Center is supported by the Sidney and Mildred Edelstein Foundation. The Edelstein Center and Edelstein Library at The Hebrew University together constitute the ongoing legacy of Dr. Sidney M. Edelstein (1912-1994). 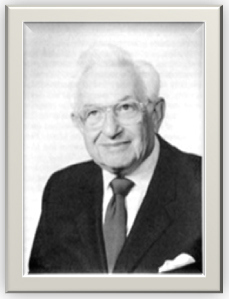 Dr. Edelstein was founder, in 1945, of Dexter Chemical Corporation, New York. His great dedication to the preservation and recording of the history and philosophy of science, technology, and medicine led him to play key roles in the promotion of excellence in academic historical study. This is continued, in addition to the activities of the Edelstein Center, through the annual Edelstein Prize, administered by the Society for the History of Technology, and the Edelstein Award of the History of Chemistry Division of the American Chemical Society, etc. As an active historian for almost half a century, Dr. Edelstein produced many of the earliest modern reviews of dyestuff technologies and related sciences, some based on original analysis of ancient colorants, such as the molluscs that afforded the Biblical blue and Roman purple. Such is their authority that these publications continue to be cited by modern historians. Such is the richness of Dr. Edelsteinâ€™s collections that they continue to be principal sources for serious academic study in particular fields of history of science. The Edelstein Center and Library remain preeminent in their fields, and together comprise an important and widely recognised resource, unique in the Middle East, that attracts scholars from all over the world.